BANGKOK, May 4, 2010 (AFP) - Thailand's fugitive ex-premier Thaksin Shinawatra called for reconciliation Tuesday as his supporters considered an offer by the premier to hold November elections to end a political crisis. Leaders of the anti-government "Red Shirt" protest movement said Tuesday they were seriously considering Prime Minister Abhisit Vejjajiva's proposal, raising hopes of an end to the crippling standoff. Hinting at a possible breakthrough in the long-running impasse between the government and his supporters, Thaksin said he hoped that "good things" would happen on Coronation Day on Wednesday, calling it an auspicious date. "Reconciliation is good for everybody," he said in a phone-in to a meeting of the opposition Puea Thai Party. "Today, don't think about the past but look to the future. That is how national reconciliation will happen." Many of the "Red Shirt" anti-government protesters who have been staging rallies in Bangkok since mid-March are seeking the return of the telecoms tycoon-turned-politician, hailing his policies for the masses. Leaders of the mostly poor or working-class Reds, whose rallies in Bangkok are in their eighth week, earlier gave a cautious welcome to Abhisit's proposal but said they needed more time to discuss it. "For the sake of the struggle for democracy, we will discuss and listen to our people who are on the frontline," Jaran Ditha-apichai, a senior Red Shirt, said from a rally stage in the city's commercial heart. The movement said that it wanted to be sure the proposed roadmap had the full backing of ruling party lawmakers and their coalition partners in the government before deciding whether or not to accept it. The authorities are ready to discuss an amnesty for protest leaders, who have been defying a ban on rallies under a state of emergency in the city, according to a government source. "The government wants to create a good climate and end the protests. Details will be discussed later. However, one of the topics that will discussed is related to an amnesty," the source told AFP, asking not to be named. Abhisit said Monday his proposal to hold elections on November 14 was subject to all parties agreeing to his reconciliation roadmap. 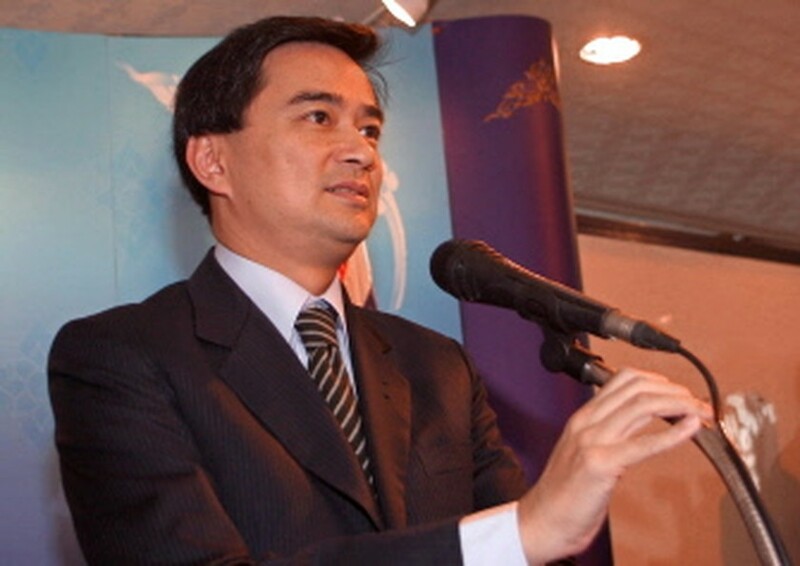 Abhisit last month rejected a compromise offer by the Reds to disperse if elections were held within three months. In March he had offered to hold elections by the end of the year but protest leaders rejected that proposal. In recent days, however, a weary air has descended on the rally area, which is strewn with garbage. Many of the protesters have been sleeping on the streets for weeks with little or no shelter and fatigue appears to be setting in, along with the start of the rainy season, which brought heavy downpours to the capital Tuesday.